Today we have a special guest, Malia Bradshaw from Malia Yoga. 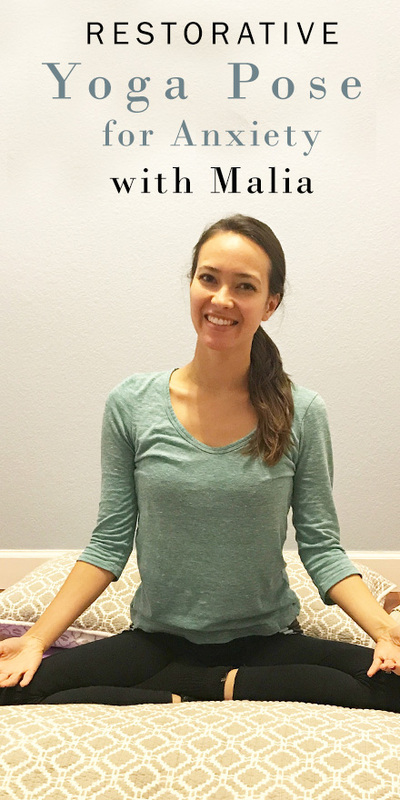 In this video Malia will show you her favorite restorative yoga pose for anxiety. She’ll also lead you through a short guided meditation to help relax the body and mind. 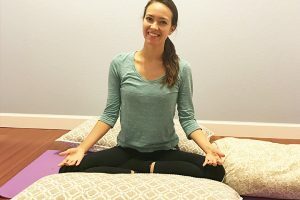 Restorative yoga is a wonderful practice to reset the nervous system and get ourselves out of the fight or flight response that anxiety can provoke. Having dealt with panic disorder and generalized anxiety herself, Malia offers tools to move through the intensity of anxious sensations.